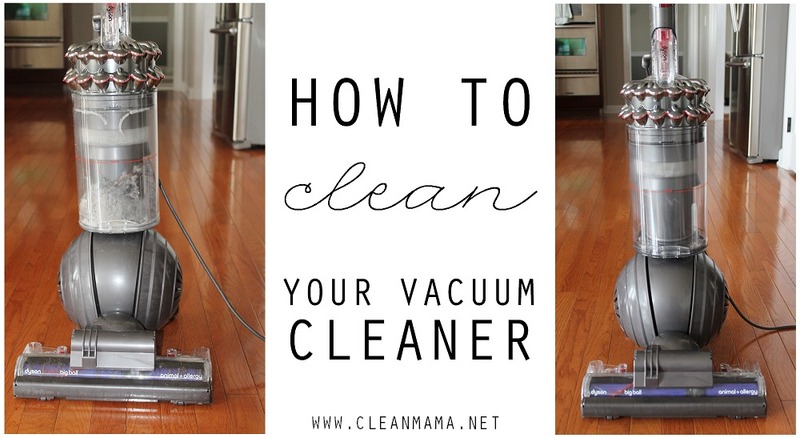 You may vacuum your floors regularly, but are you really getting them clean? Are you reaching all those tight spaces? Does your house smell great after you’re done? If you can’t confidently answer “yes” to those questions, we’re here to save the day! 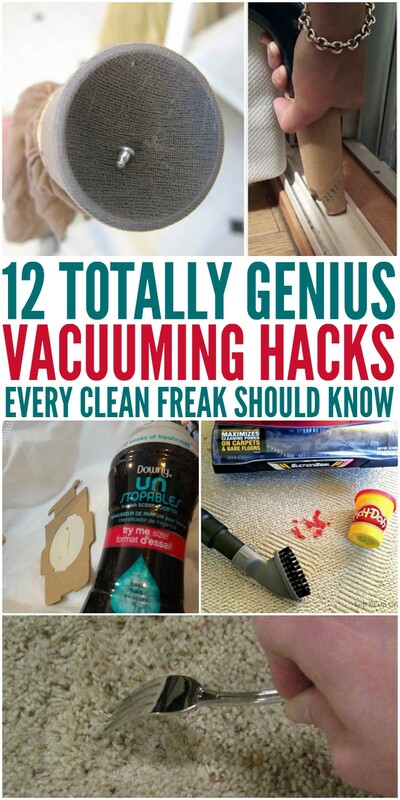 These vacuum hacks will help you with everything from making the room (and the vacuum) smell better to finding that long-lost earring. 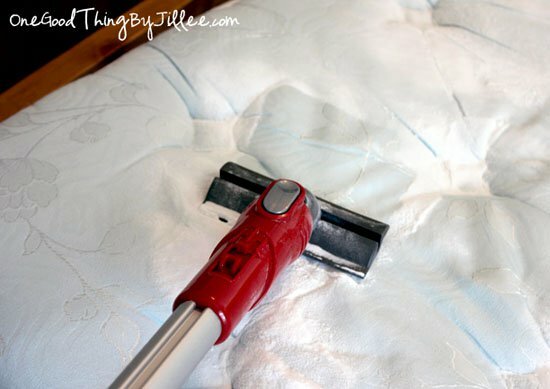 Don’t miss our carpet hacks while you’re here! 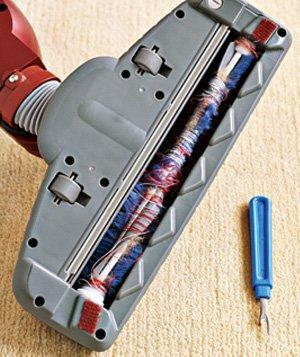 Use a seam ripper to cut away all the string, hair and debris from your vacuum’s roller brush. It’ll work so much better after you do. Lost another earring? Don’t crawl around looking for it. 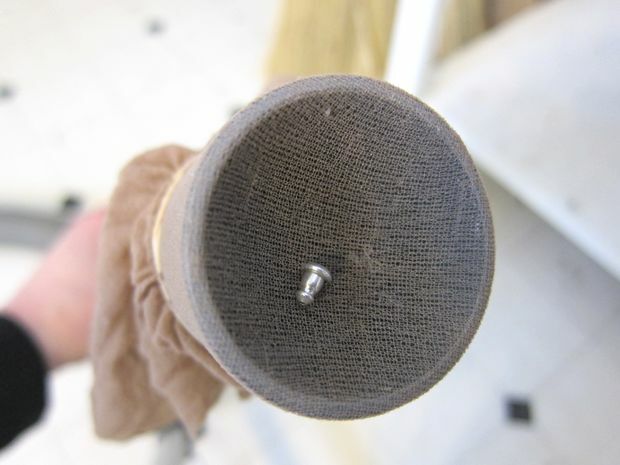 Just cover the vacuum hose with nylons to vacuum it up without losing it. 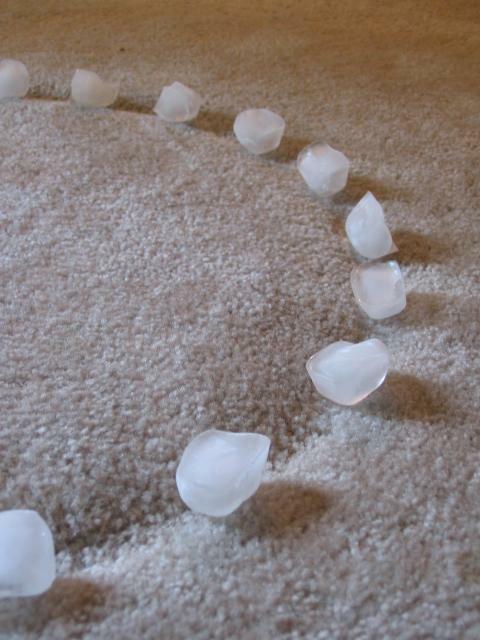 After you vacuum, >fix carpet indentations with ice cubes. 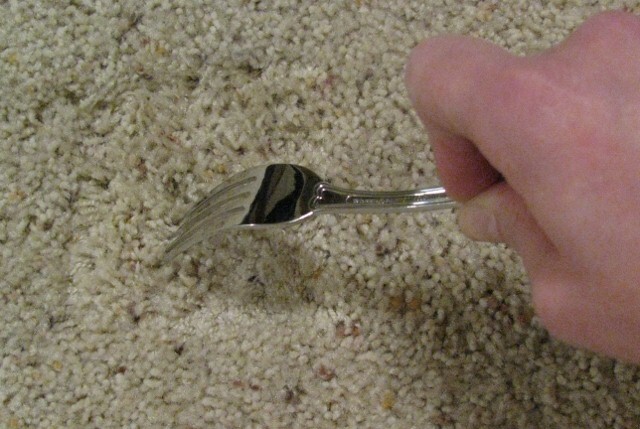 Fluff the carpet with a fork or comb if it needs a little extra “oomph” after the ice cube trick. 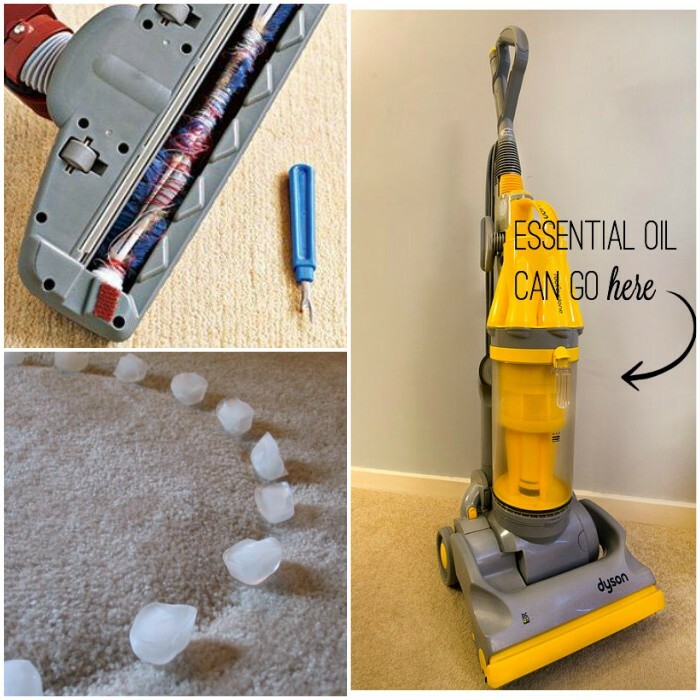 When vacuuming stinky surfaces, sprinkle the area with baking soda (add a few drops of essential oils, if you’d like). 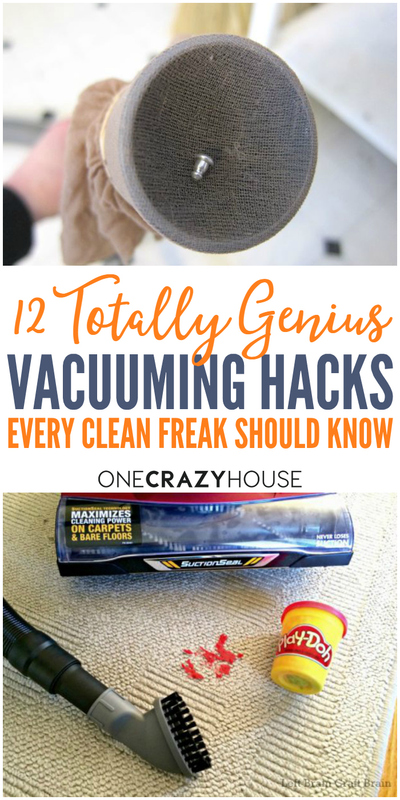 This will keep odors at bay both in your home and in the vacuum! 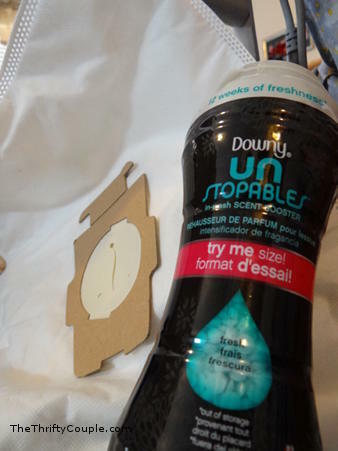 Alternatively, add some Downy Unstopables (about 12 pieces) to leave your vacuum smelling great for weeks. 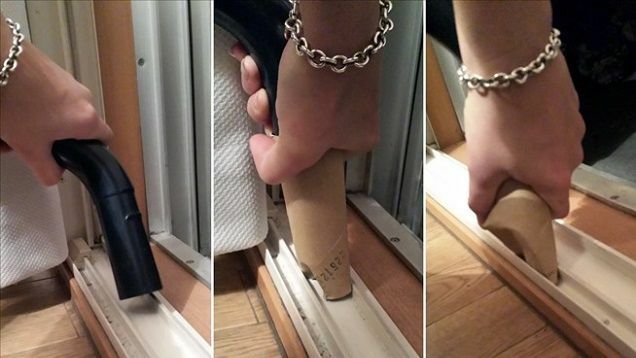 When getting into really tight crevices, attach a cardboard tube to your vacuum hose. You can smush it to fit even the tightest spots. 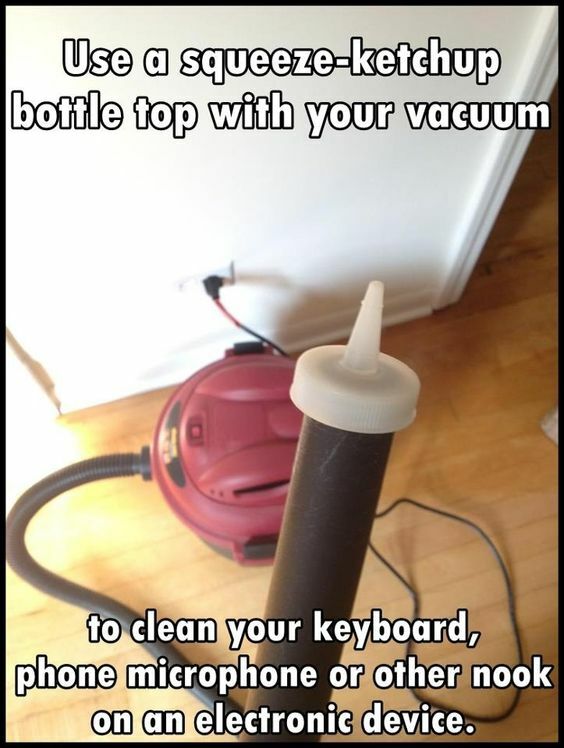 A condiment bottle top works well for tight spaces (like your computer keyboard), too. Have you ever given your vacuum cleaner a thorough cleaning? We mean a really deep cleaning? 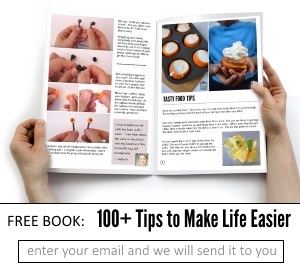 If not, here’s a tutorial on how to do just that. It’ll smell better and work better! 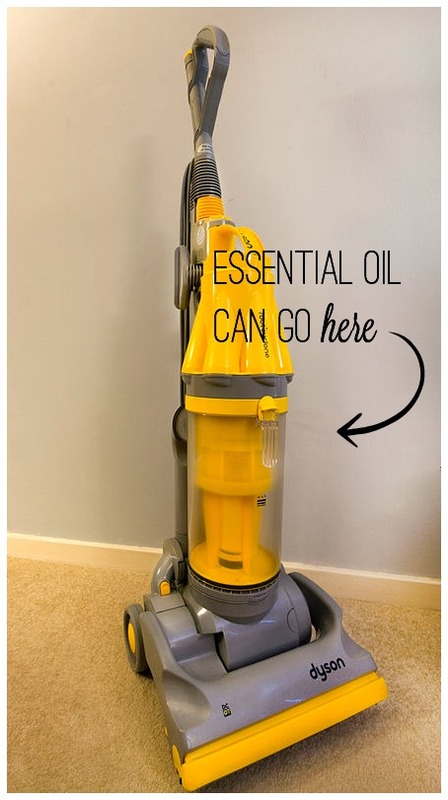 Add some essential oils to a cotton ball and drop it in your vacuum canister to release a fresh scent every time you clean. 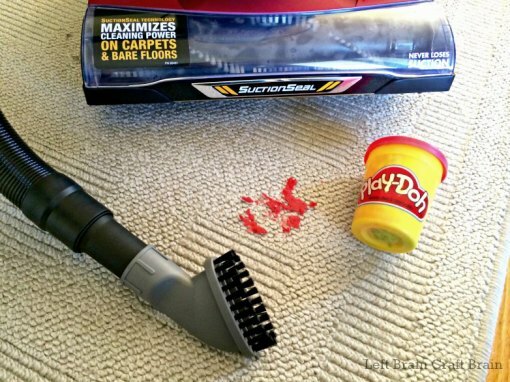 Wondering how to vacuum play dough out of the carpet? The secret is to let it dry first so that it breaks up easier with the brush attachment. Just try to avoid walking on it while you’re letting it dry!